Panel building requires long-lasting components. Panels are becoming more and more technologically advanced but they are only as reliable as the components selected within and it is imperative for the reliability of the panel that the switching components used offer the highest reliability. 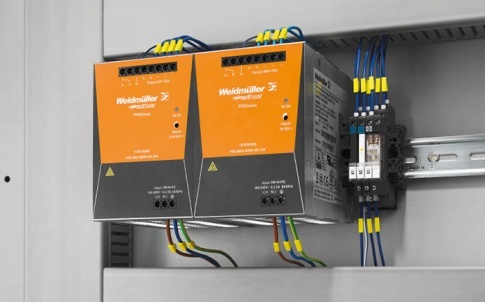 Weidmüller’s D-SERIES industrial relay modules are a high-performance relay module series with long service life for numerous industrial applications. 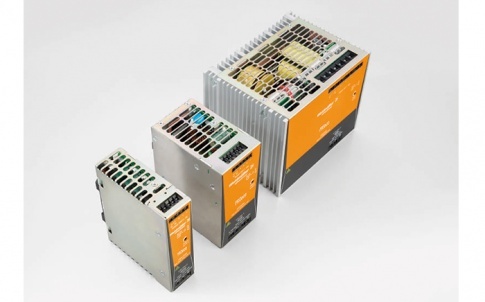 The D-SERIES industrial relay modules offer outstanding performance and long service lives. They are designed especially for demanding industrial applications and are used in situations where combinations of relays must meet exacting requirements in an industrial environment, for example high voltage levels and load currents acting on the actuators, eg. when activating motors, solenoid valves or brakes in machine construction. 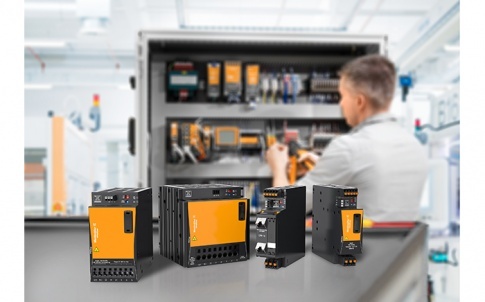 In addition to having a much longer service life, the D-SERIES relay modules are highly reliable, thus minimising maintenance and/or replacement costs. The compact DRI relays incorporate robust, industry-compliant plug-in pins. In an industrial environment, service work needs to be carried out quickly, simply and reliably. Increasingly compact cabinets and miniaturised components in confined spaces are becoming a challenge. If components need to be replaced, the bended relay pins often cause errors which are difficult to locate. As the handling of components in practice plays an increasingly important role, DRI relays have particularly robust plug-in pins for quick and safe mounting. The test button with final locking to detect manipulation can be actuated without tools. Easily visible LED illumination of the status indicator also enables clear determination of status. Both during installation of the cabinets and during subsequent servicing in mechanical and plant construction, DRI relays are the optimum coupling element for confined installation conditions. 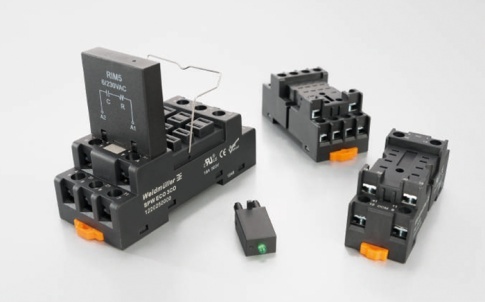 The DRM Series relays and DIN rail bases are available in both 2 and 4 change over contact versions with options for LED indication and diode protection and the Din rail mounting bases will accept bare wire, insulated bootlace ferrule or insulated fork lugs. They are offered with a selection of both AC and DC coil voltages to match most industrial applications. The contacts, which are made from heavy electroplated silver alloy 270 microns thick, plus the use of thickly plated silver on all contact surfaces, increases the electrical life of the relay adding to life expectancy and reliability. 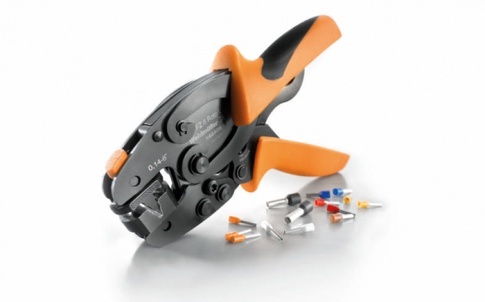 The attention to detail even extends to hardening the relay pins to provide reliable insertion every time. Convenient operation is ensured across the D-series portfolio by an optional LED status display (AC red, DC green) and an optional test buttons (AC red, DC blue). Furthermore, the D-SERIES relay modules are equipped with a wealth of accessories: relay bases, markers and pluggable pre-wiring (eg. LED or free-wheel diode) to improve flexibility in use. The wide range of coil voltages from 5 V DC to 380 V AC enables use with virtually any control voltage. The range is further complemented with models suitable for use where high voltage levels and load currents act on the actuators, eg. when activating motors, solenoid valves or brakes in machine construction. 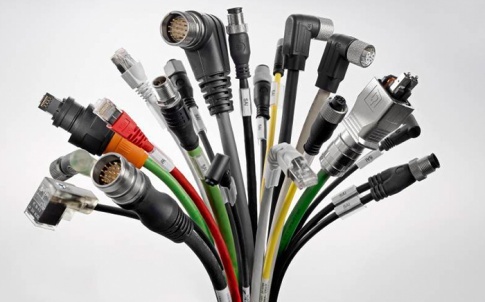 Demands increase when large amounts of current are used. Numerous industrial applications use voltages between 110 V and 220 V to control actuators. With load currents greater than 100 mA, these high voltages cause wear-intensive arcing on the relay contacts. 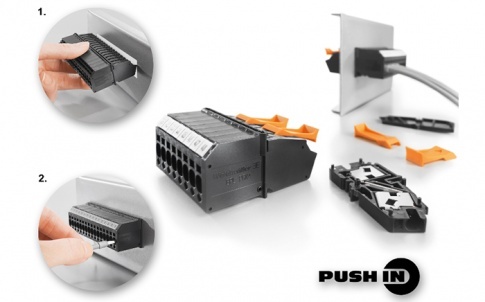 But this does not happen with DRH products from the D-SERIES relay portfolio: contact series connection, in-built blowout magnets and low-wear contacts effectively prevent unwanted arcing and ensure a longer service life. The series connection of the contacts and the blowout magnet that quickly extinguishes arcs reduce contact burn-off at loads of up to 220 V DC/10 A.
DRL power relays (1 up to 4 CO) have good wear resistance with AC loads and high dielectric strength (2000 V). DRW power relays (2 CO or 3 CO) are suited to switching high load voltages. DRH DC relays (1 NO or 1 NC and 2 NO or 1 NO/1 NC) are used to switch high DC loads. DRR power relays (2 CO and 3 CO) are suitable as 8/11-pole relays with a switching capacity of 2500 VA. The robustly configured and reliable relay modules of the D-SERIES operate in a wide ambient temperature range: DC from – 40 °C to + 60 °C and AC from – 40 °C to + 55 °C. All D-SERIES relay modules are CE-conform and certified by the German TÜV. In addition, they have international cULus approval.